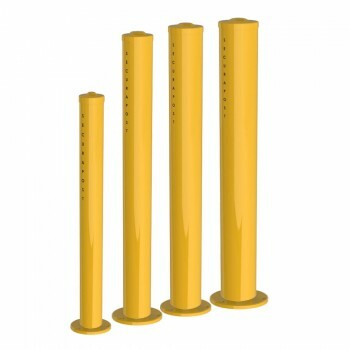 The builders bollards range includes a variety of industrial bollard types. Our biggest sellers are fixed bollards and base plate bollards. Also available are removable and retractable bollard types that you can install to allow access to an area. The removable bollards can be operated by a key and internal mechanism or lower cost padlock type. 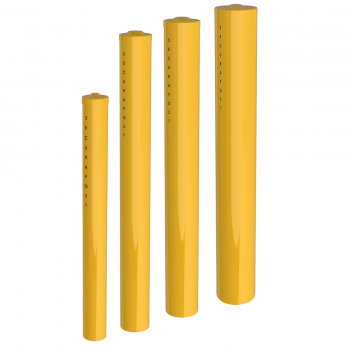 Our industrial bollards come in standard safety yellow which are easy to see. Other colours are available on request but the vast majority are supplied in yellow, so this is what colour is available in stock. 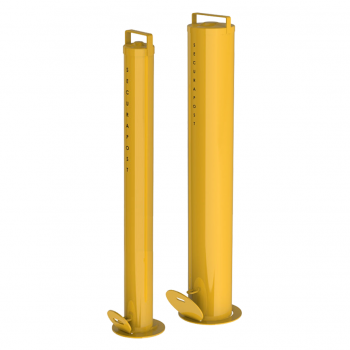 Builders bollards is part of Leda Security Products Pty Ltd. This allows larger construction companies to take advantage of the low prices and trading terms you may already have established with Leda.